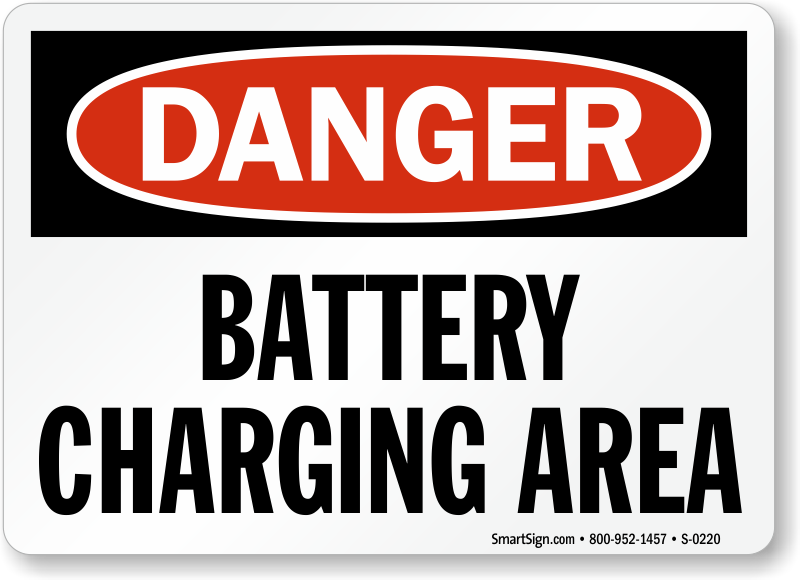 Battery Charging can be a dangerous process. 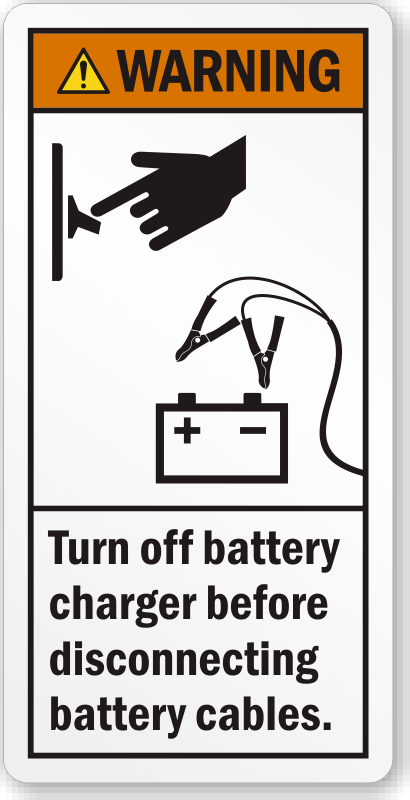 Make sure that everyone knows where the batteries are, and what precautions to take. 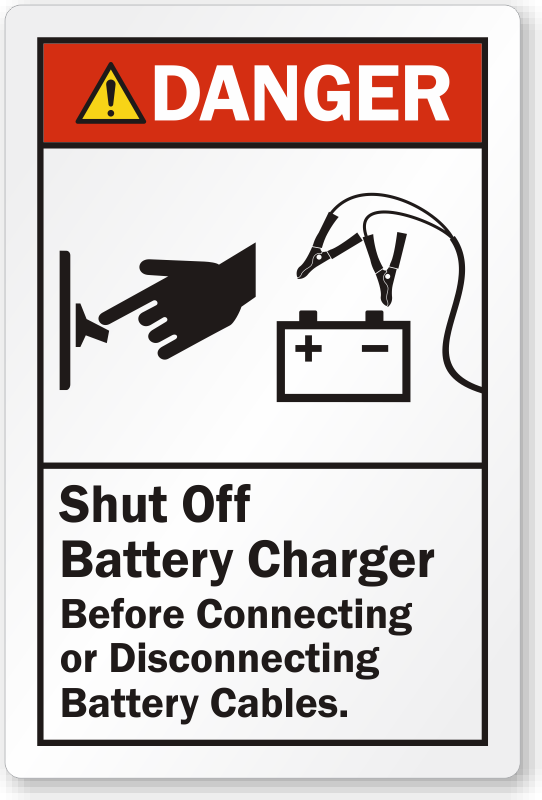 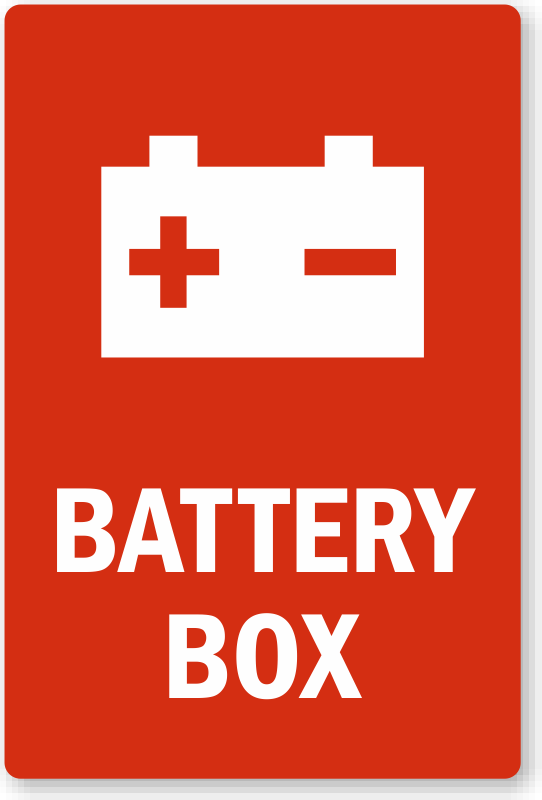 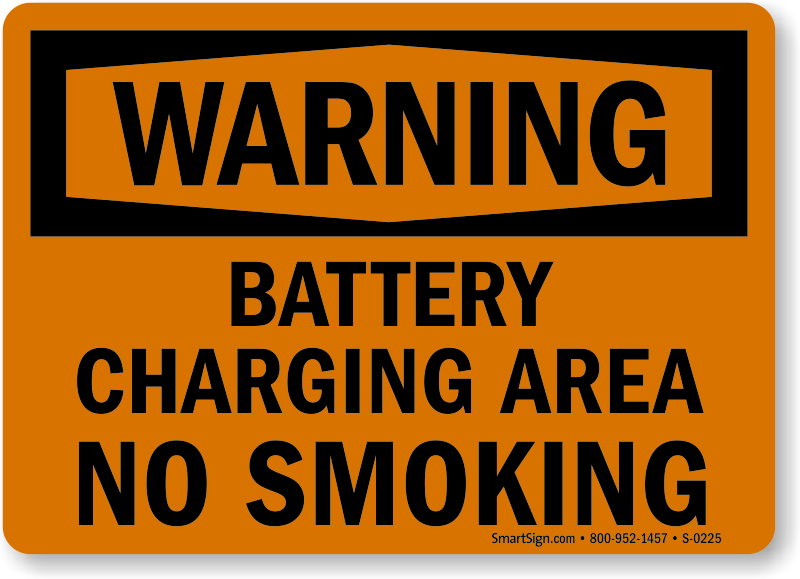 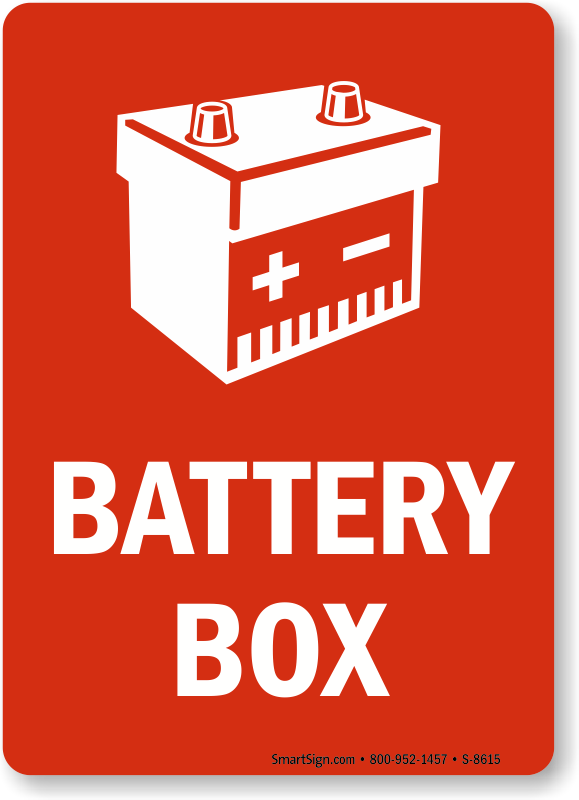 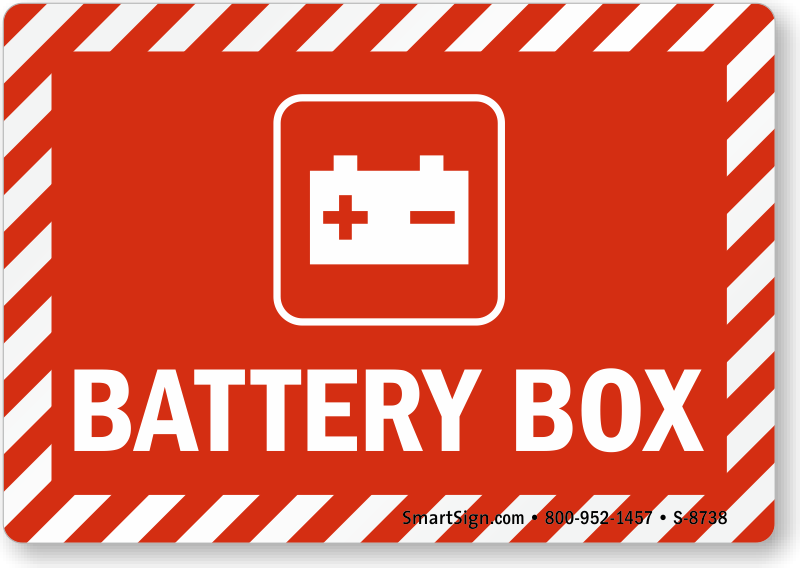 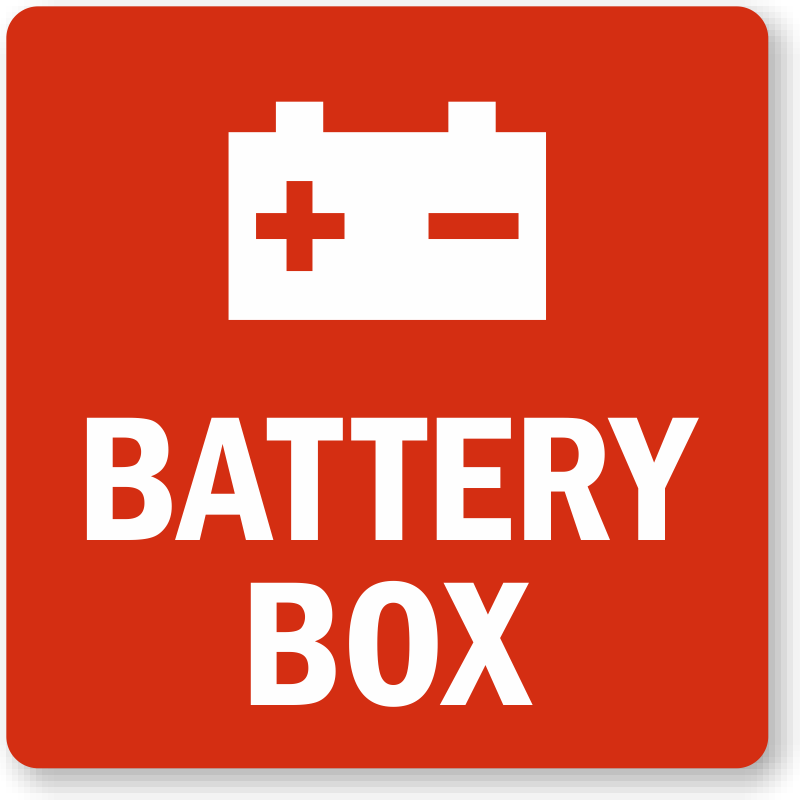 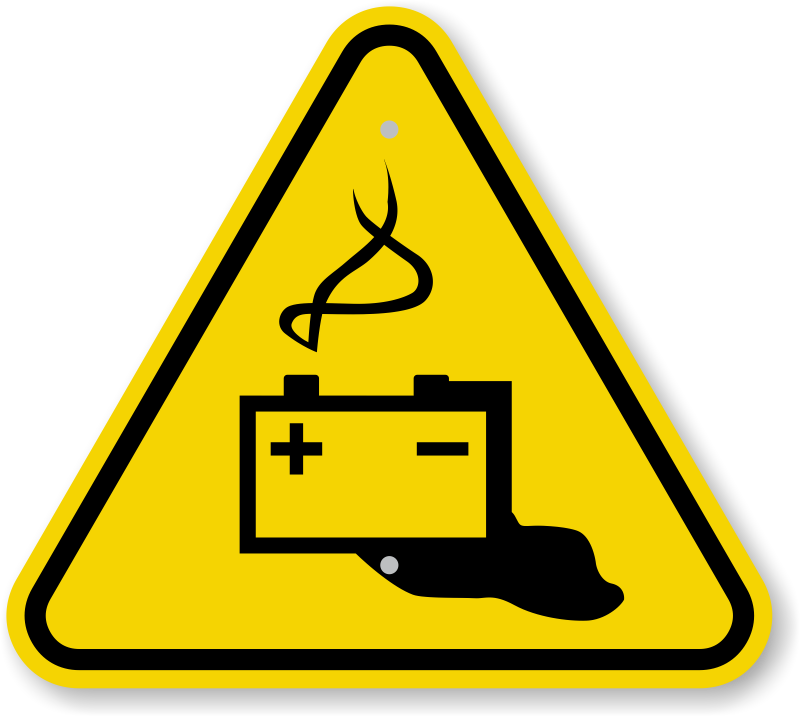 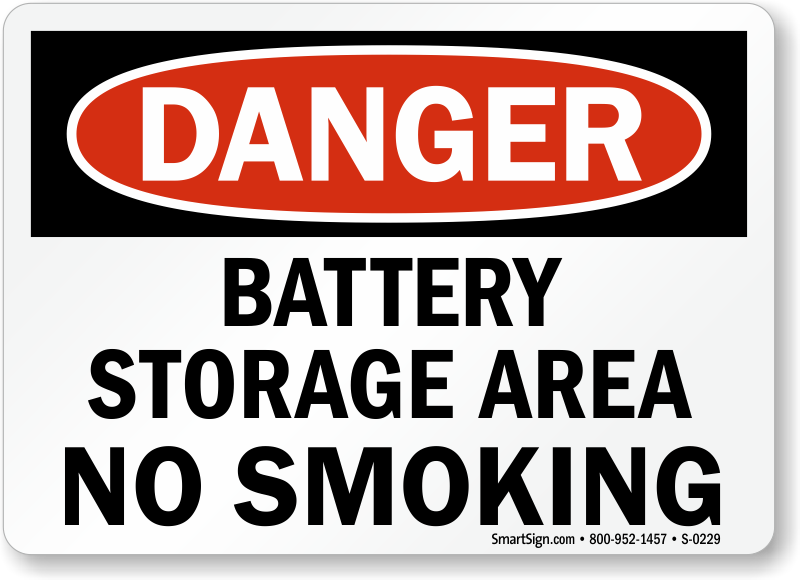 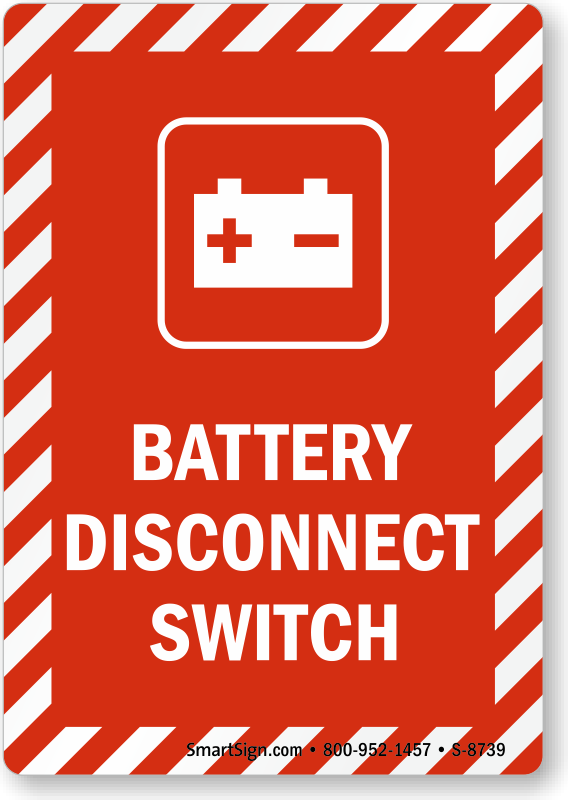 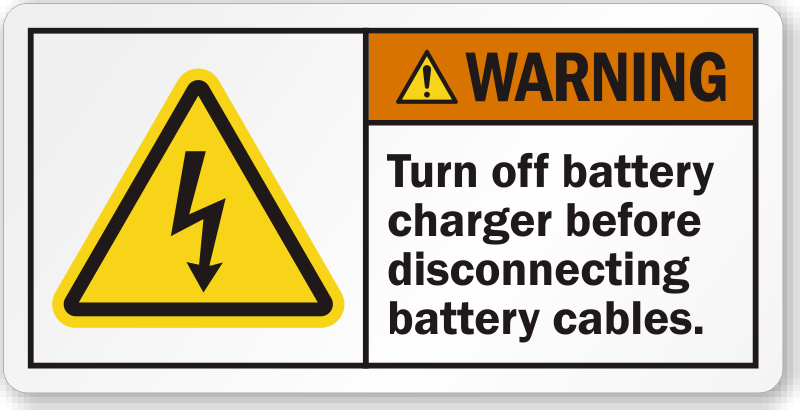 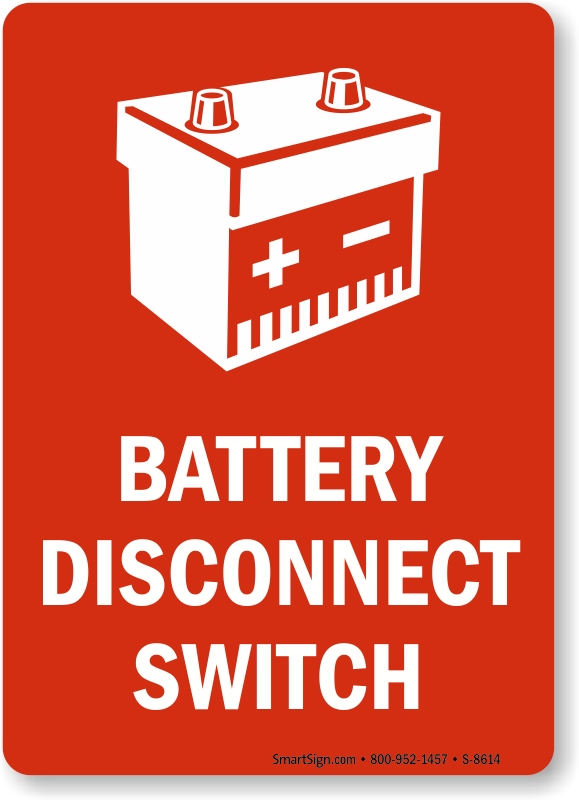 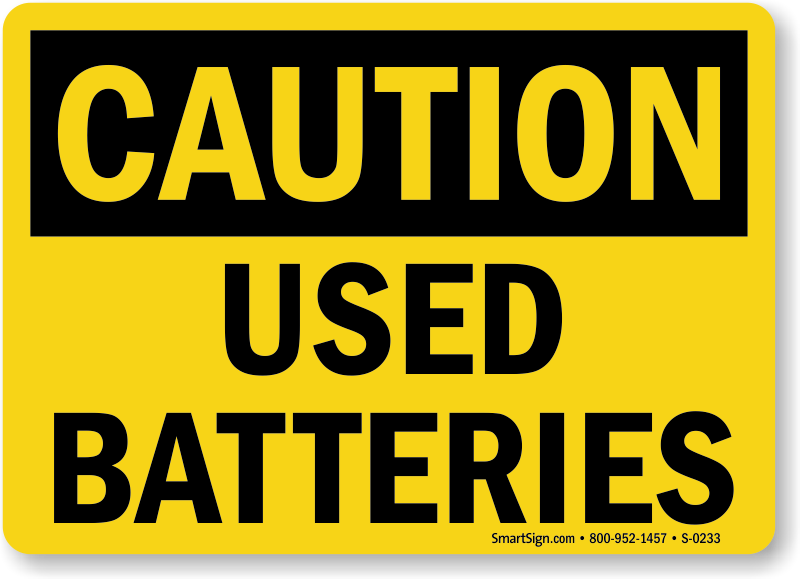 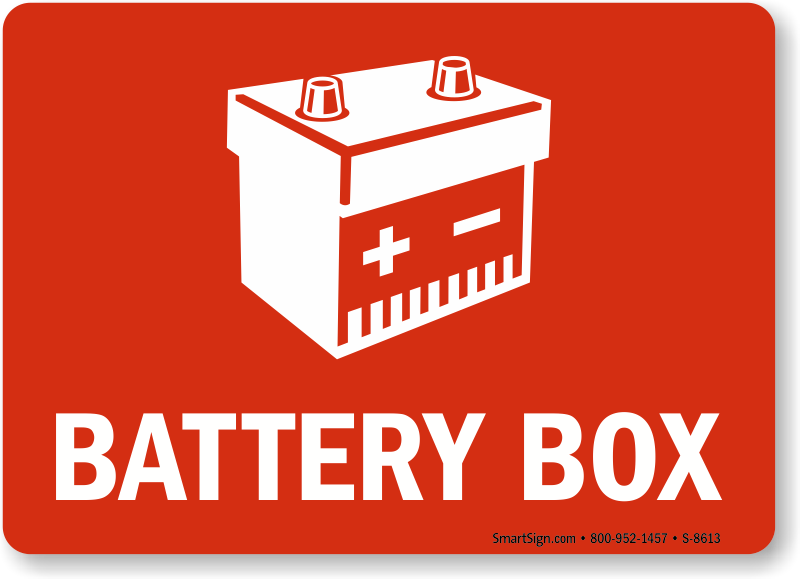 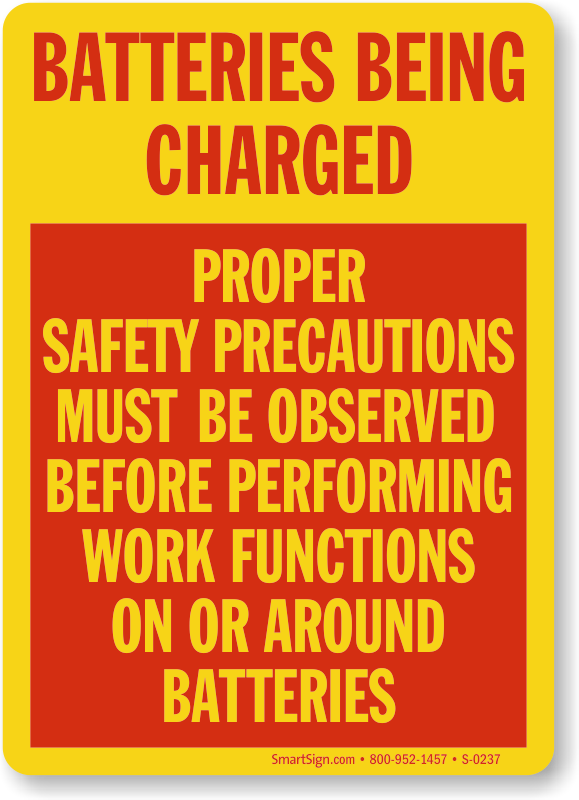 Battery Warning Labels provide an effective, on-the-spot reminder that keeps your workforce safe. 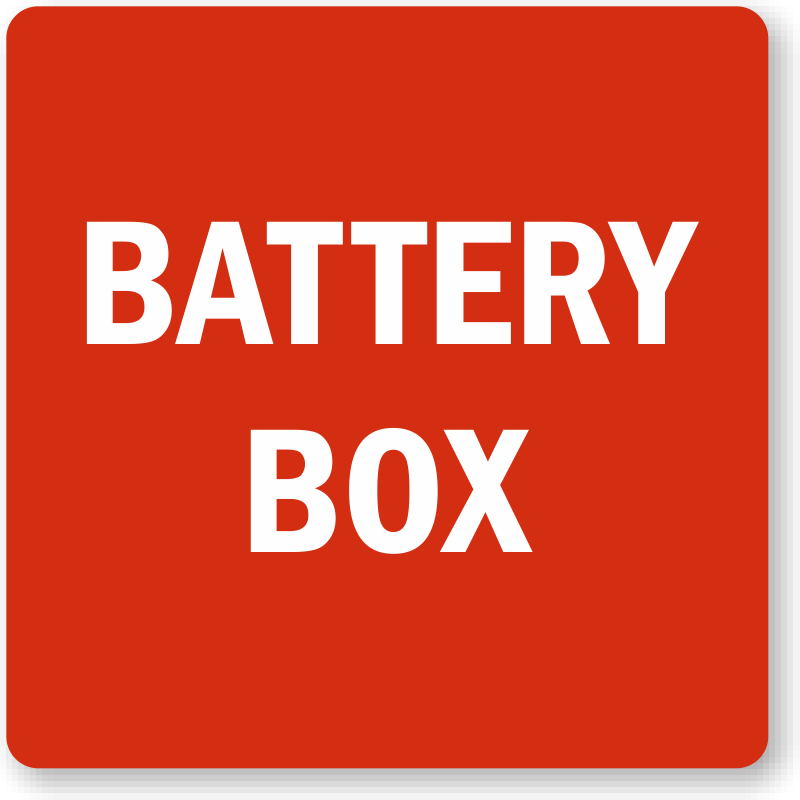 • If you do not find what you are looking for in our stock products, order a custom label below. 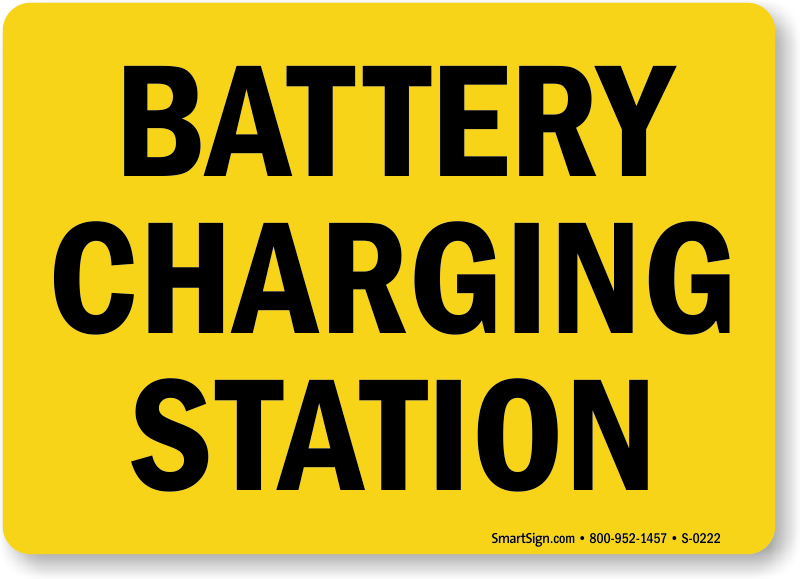 It is fast, easy, and affordable. 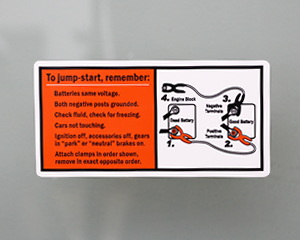 Plus, you get the exact label you had in mind! 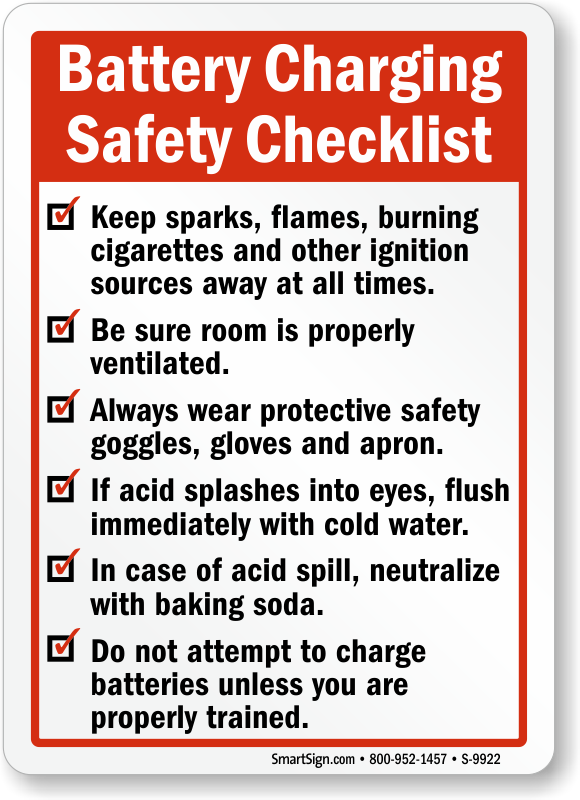 • Our designs can be downloaded in PDF format without having to pay anything. 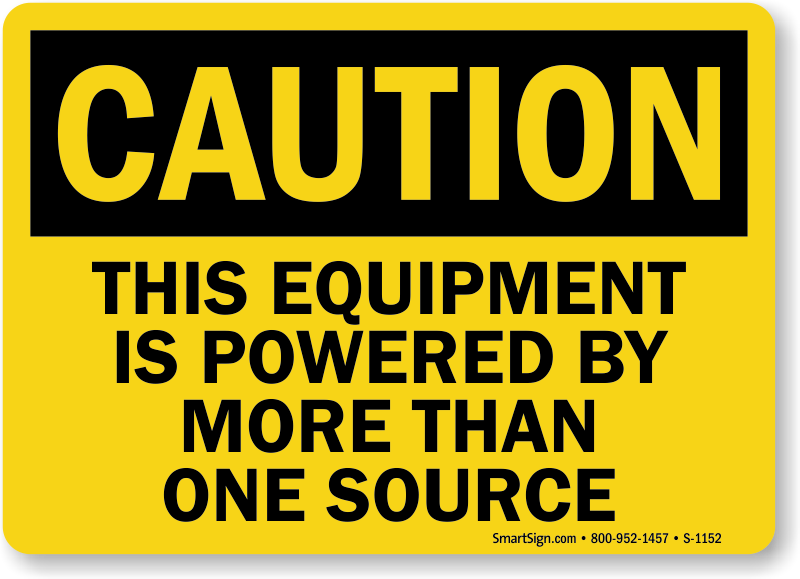 You can then print them on a personal printer. 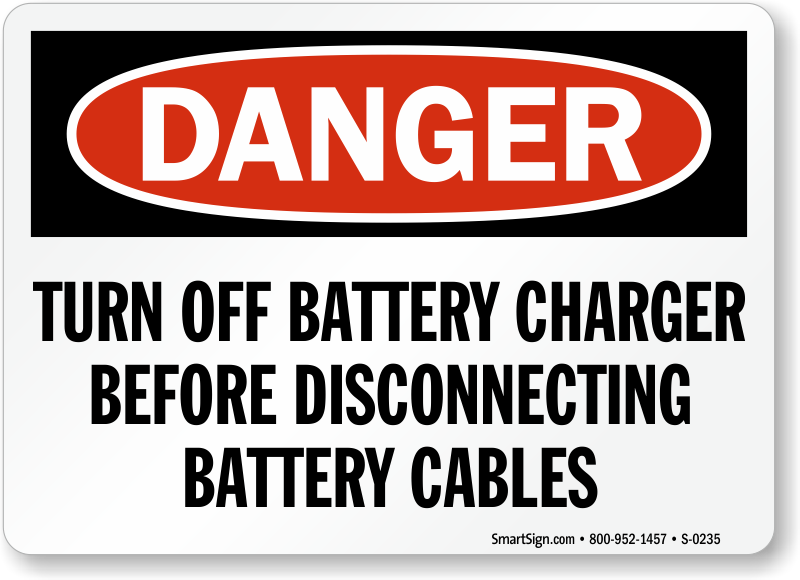 • You can also order these labels in any material of your choice. 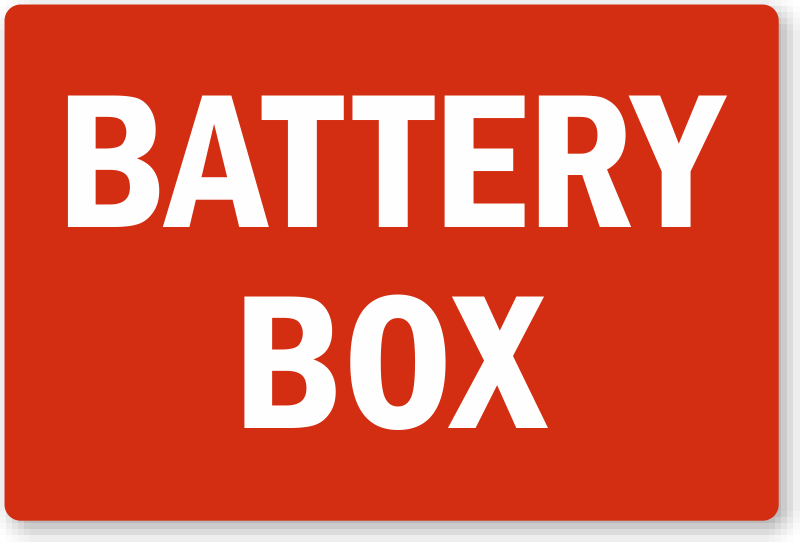 We offer the best of materials available in market. 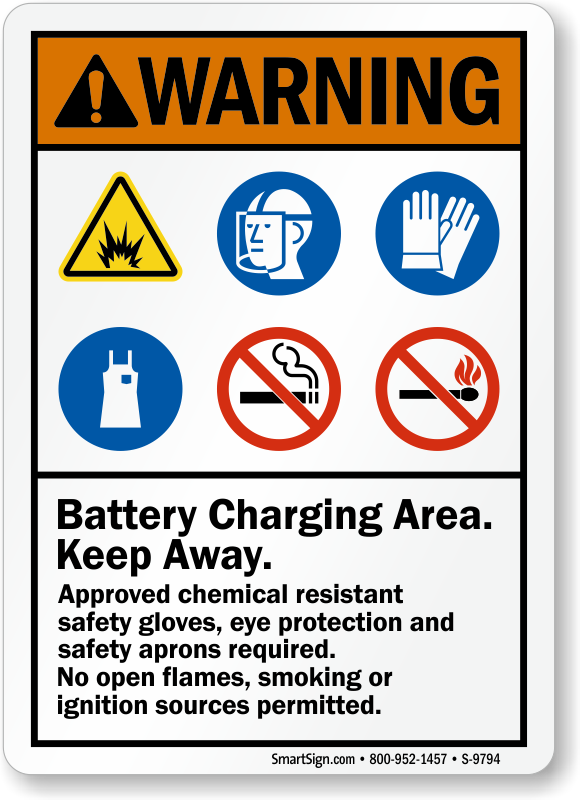 Provide exact instructions on PPE to wear and how to stay safe while batteries are charging. 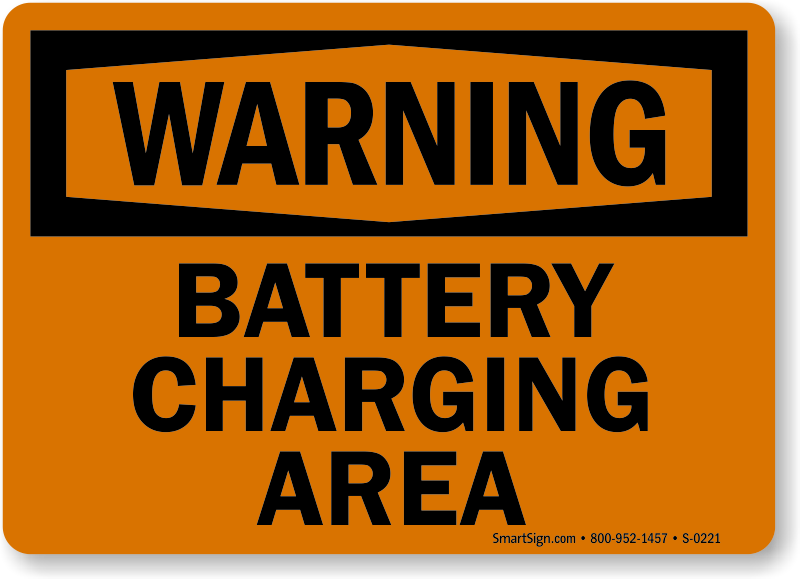 Battery Charging Area. 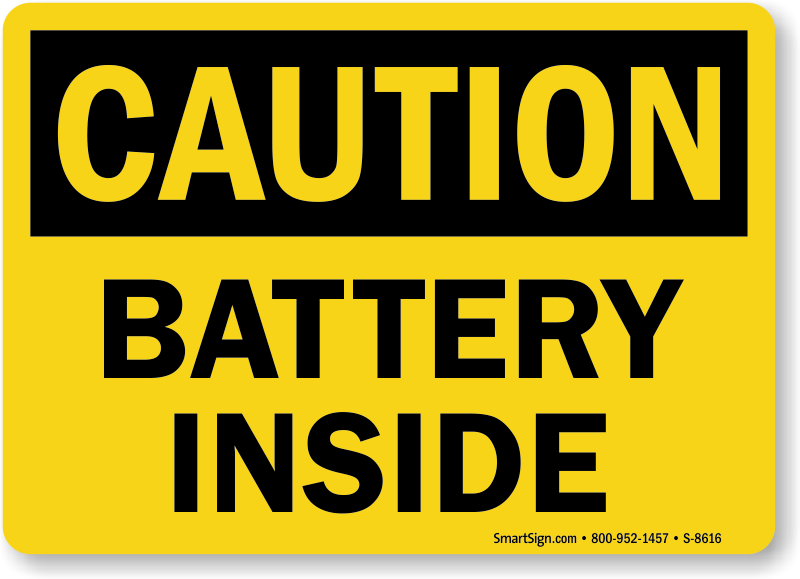 Keep Away. 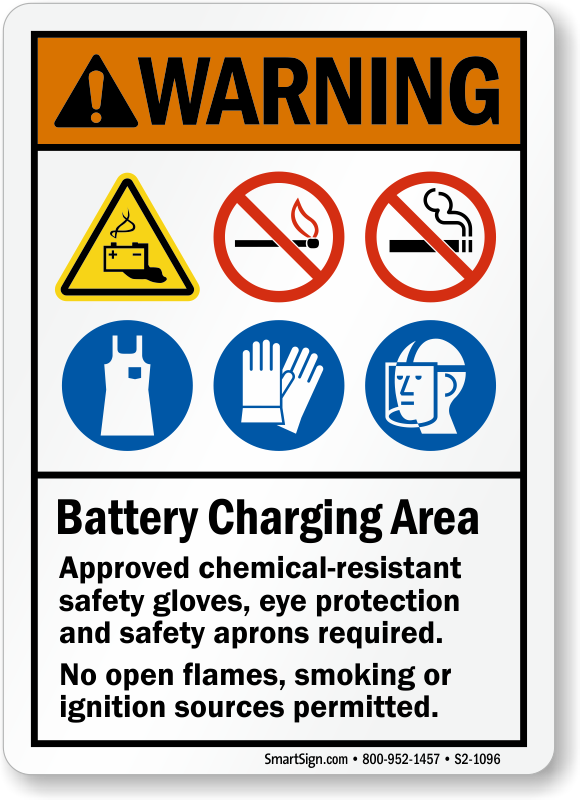 Approved Chemical Resistant Safety Gloves, Eye Protection Required.